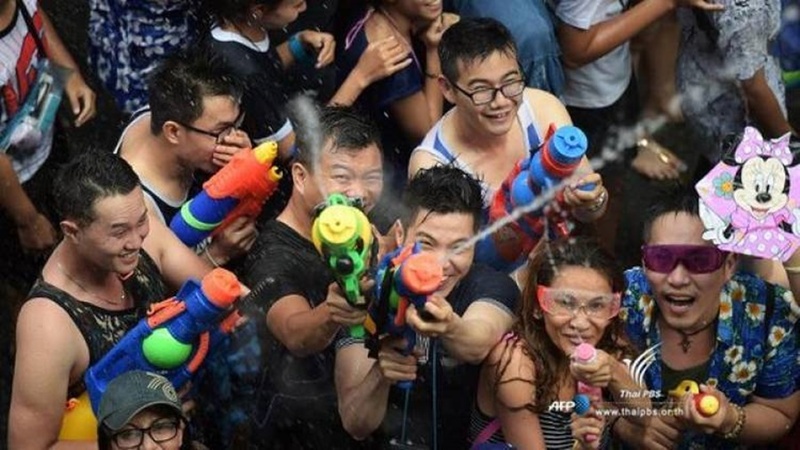 Bangkok Metropolitan Administration will impose “Five Nos” for revelers during the Songkran festival plus no entertainment activities. The Five Nos are: no huge water guns; no alcoholic drinks; no powder; no over-exposure dress and no excessive use of water. On top of that, there will be no entertainment activities during the festival. This means that loud music and dancing on the back of pickup trucks will be prohibited. BMA has designated zones for celebration in 50 districts and sought cooperation from members of the public to celebrate the water splashing event within the designated zones. No celebration will be staged around Sanam Luang and the Grand Palace as authorities concerned will have to take care of mourners who want to pay respect to the late King Bhumibol. The open space in front of the City Hall will be the venue for celebrations on April 12-15 and members of the public are invited to join. Meanwhile, transport officials have expressed concern that a large number of Songkran revelers may be stranded in Bangkok because of the shortage of public buses after some bus operators warned that they may not operate during the period due to what they allege as unrealistic road safety measures such as the mandatory installation of GPS system on all public buses. Mr Thanongpan Sutthipong, president of transport operators association, said installation of GPS system was impractical and unrealistic. Transport Company deputy managing director Nopparat Karoonyavanich, said that the state-run company would have to increase about 7,000 bus trips to fill the shortfall of service to cope with the missing service from the independent bus operators.